After reading this article it made me think about DRM – Digital Rights management, and how it seems to protect the wrong group. This lawsuit is aimed to help level the playing field. It is common practice for the big six traditional publishing companies to use DRM. Amazon also has a DRM to protect Ebooks from being displayed on other mediums besides Kindle. 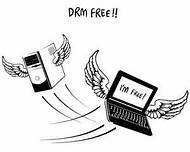 At face value DRM seems to be a protective program used to fight illegal copying. Many authors think these programs protect them, but the truth is the DRM used now protects the publishing company and the seller. The average person today who reads Ebooks may have multiple devices they use – computer, tablet, nook or kindle. If a book is ‘rented’ from Amazon and sent to the kindle reader, the file cannot be read on that person’s other devices without being purchased again. And yes – rented is the correct term to use. When we download an Ebook we agree to the terms. The company that issues the book out (Amazon) controls the rights. If they choose to relinquish your account, you lose access to your Ebook library. It is all on the cloud. Don’t believe me – just alienate them and see what happens…. I hope I still have books in my library after this rant goes up! The point is, maybe all this clout that the big six and Amazon have should be dismantled. If the local book stores could have access to sell – wouldn’t that be better for everyone? I think so, and I hope that they all come to terms. If all the major players can play nice together – we – the reader and the author, will benefit. Keep watch and see what happens. Maybe there is more to this – but it usually comes down to the almighty dollar. I hope that Amazon stays true to their service side, and realize the average customer will be happy to have more device choices. Let me if you agree. Should DRM be reformed? We’ll have to keep close watch, I too agree that the customer should have more choices and Amazon is acting like a monopoly. That’s a great standpoint. Especially since it is so hard for someone with no Kindle to access certain books… Good thing for authors doing giveaways or I couldn’t have read so many great books. I agree. Thanks for giving us your take on things.